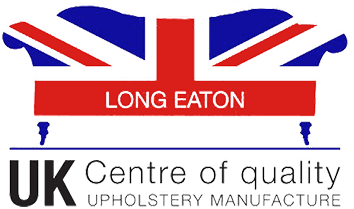 PF Collections is a specialist upholstery manufacturer based in Long Eaton, an East Midlands town which borders both Nottinghamshire and Derbyshire and which has been known for generations as the centre of upholstery manufacturing in England. We have been producing fine handmade British furniture for almost 30 years. The company was formed in 1988 by John Campbell, the current Managing Director and is privately owned by John and his family. PF Collections Ltd is privately owned by John Campbell and his family. John has over 40 years experience in the furniture industry and founded PF in 1988. We are proud to have been producing fine furniture for nearly 30 years. Our furniture is handmade by a highly skilled workforce who have a total commitment to quality and are proud to produce handmade British furniture.